Thank you for visiting us at Co! We strive to offer you the best shopping experience. If you are not satisfied with your order, please contact us to initiate the return process within 7 days upon receiving your item(s). Co will try our best to offer you a satisfactory solution if you are not 100% satisfied with your item(s). Please be free to contact us. 1.No returns for jewelries and personal care items (including lingerie, etc) due to hygienic reasons. 2.Please understand that dresses that do not fit properly but in accordance with the specifications you ordered cannot be returned or exchanged. 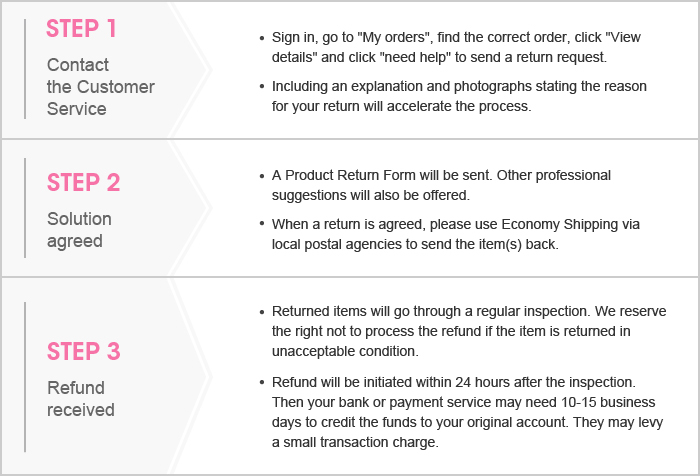 Important: The returned item(s) must be in original condition and sent back Via “Economy local postal agencies” once you get a "Product Return form" from customer service. Thank you for your understanding. 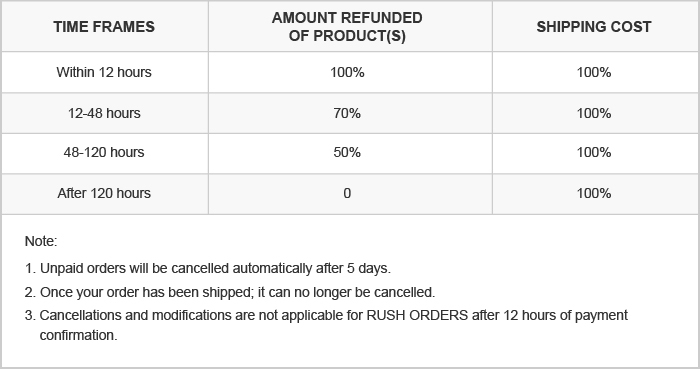 Note: The total refund cannot exceed the order amount. Once your refund is issued by us, you will receive a confirmation email. Please remember to check your account in the due time. If you do not receive the refund on the estimated date, please contact us through email. We will try to help in any way we can. We understand that it is a very important undertaking to order a dress for your special occasion, and our cancellation policy was formulated with this in mind. However, it is important to note that our dresses are made to order. Once the tailoring process has begun, the materials cannot be reused. Please be informed that after placing your order, there is still time to change your mind. For details, please refer to our cancellation policy below.